problems and difficulties that arose as a result of Japan's post-Cold War security policy of simultaneously pursuing two different security approaches - namely the strengthening of regional security institutions and the Japan-US alliance. 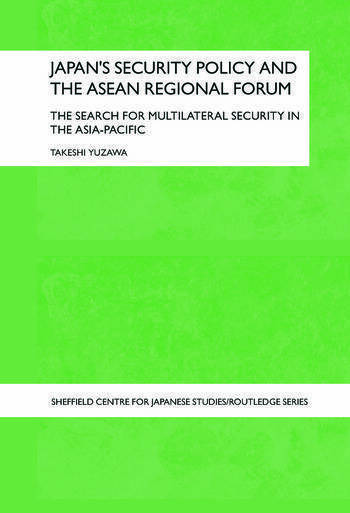 This book will be an invaluable resource for students and scholars of Japanese security studies, as well as international relations, Asian politics and international organizations. Takeshi Yuzawa is Research Fellow at the Japan Institute of International Affairs. His research interests include Asia-Pacific security, Japan’s foreign and security policy, International Relations Theory.